Checkout Tbabz – Miracle Service ft. Oba Reengy new song. Music maker, TBabz and Indigenous Naija rapper Oba Reengy collabo to convey this new song titled ‘”Miracle Service”. 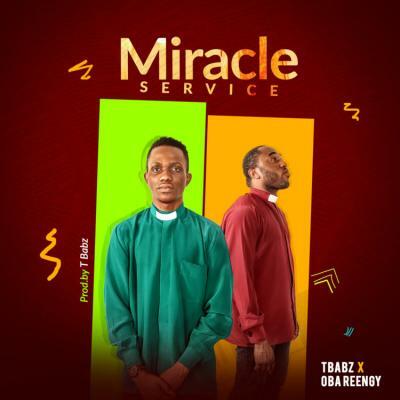 Listen & get Tbabz – Miracle Service ft. Oba Reengy below.